We at Send Anywhere want to start giving you a closer look at our product, our team, our vision. 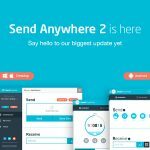 To do so, we wanted to introduce our first installment of “An Insider’s View of Send Anywhere” in which we interview various engineers about their portion of the product and where they see it headed. 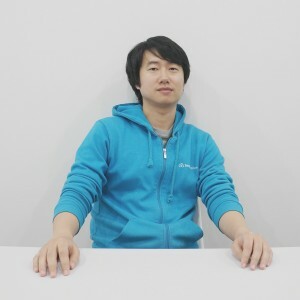 Today, we are pleased to introduce Jeonglim So, the Lead Engineer for our iOS application. Q: Compared to other applications, what do you see in our iOS application that differentiates us? I think the largest differentiating factor between us and other similar iOS applications is that we allow you to send outside of the typical iOS<—>iOS transfer path. Through us, you can send data from your iOS device to an iOS device, Android, Windows Phone, and PC, OSX, Linux, our web widget, Chrome extension, WordPress plugin, and Samsung printer. 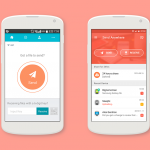 Most other applications limit your sending abilities substantially. Furthermore, our “Send Directly” feature allows you to bypass the six-digit encryption key to push files to nearby devices or all of your devices that you’re logged onto. Q: What is your favorite part of the iOS application? As previously mentioned, I am a big fan of the push notification feature. From an engineering point of view, it was a lot of fun to code and is extremely powerful for the end user. Q: What do you envision as the future of your application?